Owner, a personal trainer and strength and conditioning coach Joel will push you to your limit and help you conquer any goal. His euphoric playlist with injections of electro and dance remixes coupled with his enthusiastic drive will take you on a personal journey. Whether it be on the bike for Ride or in the gym, expect masses of energy, combinations, and power with uplifting tunes to match. Carla’s passion lies in pushing you the extra mile, to leave you feeling euphoric while encouraging you to be a badass at the same time! 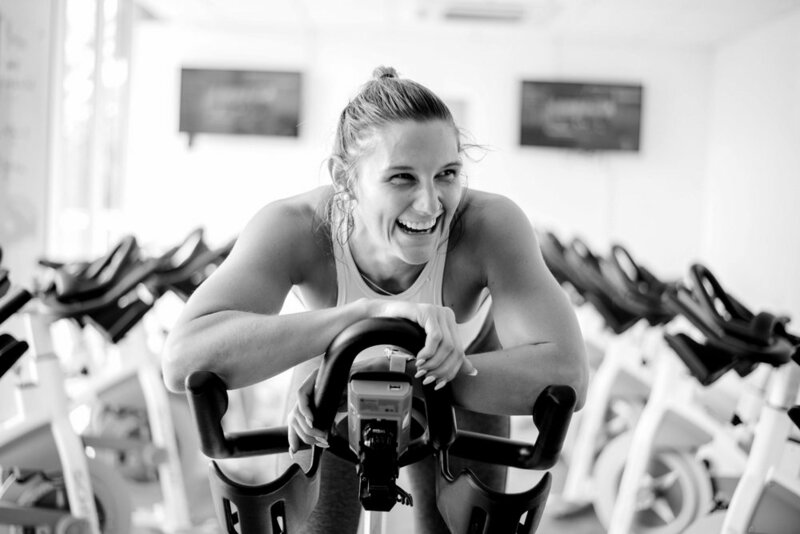 Brutally fun, fierce, but friendly - Marina is a cyclist, turned spin instructor, who comes with a wealth of experience and grit. Expect high energy, positive vibes and be ready to work. Marina will push you to your limits as she looks to unlock your full potential and leave you feeling empowered. Where do we start with this Spin House superstar?! Brazilian born Glauber will get the very best from every rider in his class. Using his insane beats that he describes as a ‘rave on a bike without the glowsticks’ his infectious energy and motivation! We know its how he gives his riders the perfect combo of each to push them to their max, and has them leaving his classes feeling like they can take on the world... although preferably after they’ve showered! Energetic, fun and positive - there is no other way to describe Jack! A professional dancer and Spin instructor. Jack is passionate about leading a happy, healthy life and motivated to make sure you leave the studio feeling you have pushed physically and mentally. Whether it's sweating it out on the bike or feeling that burn - you are guaranteed to leave with a spring in your step!